Hello adventurers, Sean “Commander Ander” McCann here to talk to you today about the fight against Demogorgon! The Prince of Demons, the Sibilant Beast, the Master of Spiraling Depths, Demogorgon is a Demon Lord who is not one to be easily trifled with. 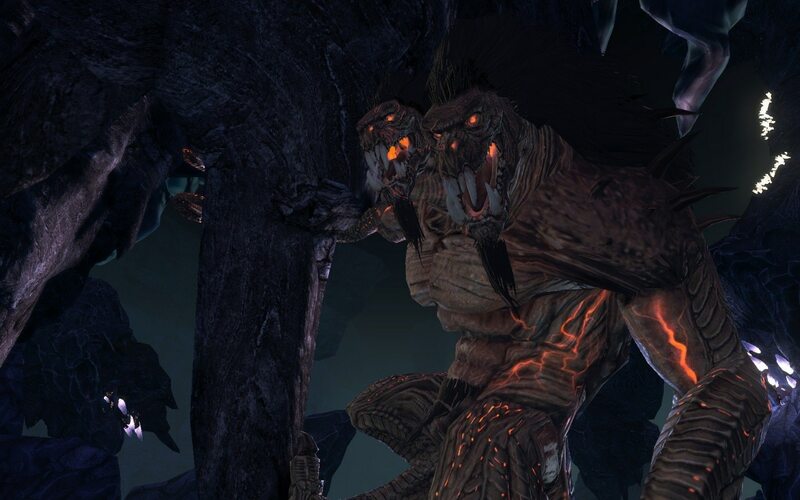 The fight against Demogorgon is a ten-man queue that is available at the top of every hour within Mantol-Derith to those with an item level above 2000. 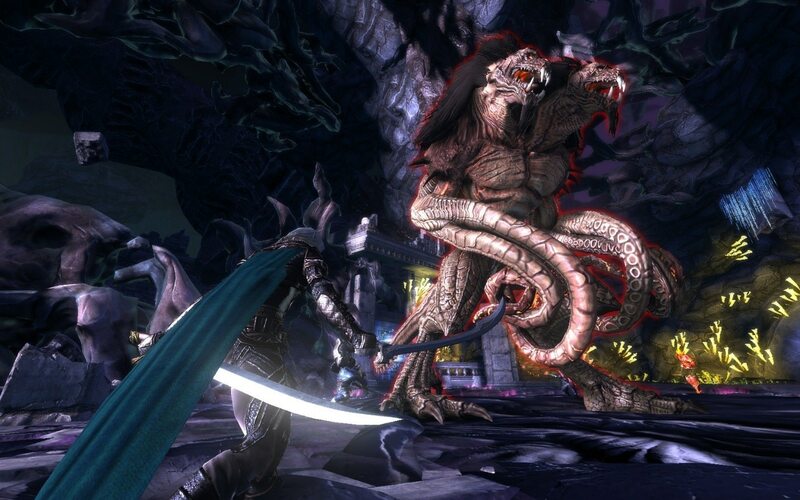 Epic Demogorgon, a harder version of the fight, is available once players unlock it through the Underdark campaign and have an item level above 2500. Demogorgon’s arrival in the Underdark marked the beginning of the large-scale demonic invasion. The Prince of Demons has only one goal – corrupt all that is good. It will destroy anything in his way, drive anyone mad, and tear apart civilization as we know it if something isn’t done. Drizzt Do’Urden has gathered his trusted companions and other allies to hunt Demogorgon and banish him from our world. Bruenor Battlehammer, Regis, and Drizzt’s trusted panther, Guenhwyvar, will all be there to help in the fight against Demogorgon. As well, an unlikely ally, a mind flayer named Grazilaxx, will play a pivotal role in protecting the Companions and adventurers from Demogorgon’s madness. The fight against Demogorgon is split into three different phases. Overall rewards are based upon the player’s performance in each of the phases. Our goal with this was to reward players for their efforts along every step of the fight – the harder you try, the better you’ll be rewarded. We won’t spoil what’s in store in each phase, but let’s just say that adventurers will have to protect themselves from Demogorgon’s madness or face the consequences. The rewards for completing Demogorgon include currency to progress through the Underdark Campaign, along with Seals of the Protector, useful for purchasing Elemental and Dragonflight armor. Several rare rings can also drop, each of them giving players unique abilities. In Epic Demogorgon, players can earn a special kind of ichor that allow them to acquire Demogorgon-themed artifact weapons – if they can withstand the added difficulty and mechanic within the Epic version. We’re all very excited to see adventurers tackle the challenge of felling a Demon Lord. Keep an eye out on Demogorgon making its way to our Preview shard! Новые товары на Рынке Zen! Рынок Zen пополнится новыми товарами в Neverwinter: Подгорье!